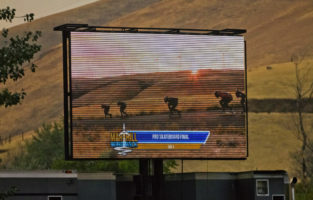 Maryhill Windwalk hosted the world's only AMATEUR DOWNHILL RACING CLASS. Rather than maintain a traditional open-competition, Windwalk sought to create a venue to separate the world-class professional racers from the rest (or soon to be best). With nearly 3:1 Amateurs to Pros, 2017 hosted the tightest and safest competition across classes than any in years past. Avoiding any major injuries or ambulance trips, racers had more runs and more developing experiences than past Maryhill events. And to minimize the barrier to entry, racing leathers were not required (just full pads). It is paramount that the downhill racing community supports the growth and offers stepping stones leading up to the world class level of competition. There's a saying that, "Maryhill is the easiest hill to ride, but the hardest to win." We believe that makes it the perfect racetrack for all levels and varieties of competition. Maryhill Windwalk 2018 will continue the new tradition of THE WORLD'S LARGEST AMATEUR DOWNHILL SKATEBOARDING COMPETITION. Register before June 1 to receive the EARLY BIRD REGISTRATION DISCOUNT.